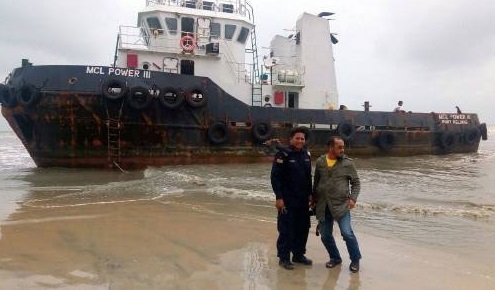 On January 23, the 26 meter long tugboat MCL Power III with a barge under tow ran aground in the South China Sea near Kandis, Kelantan, Malaysia. The MCL Power III was proceeding to Johor with 5800 tons of limestone in stormy conditions. The storm caused the MCL Power III to become uncontrollable and the vessels were pushed ashore. No reports of injuries.